Budget Name Badge: 1-1/32" x 3-1/32"
The Budget Name Badge gives you the most bang for the buck with its innovative usage options. This sturdy white plastic badge is ideal at a workplace that sees frequent turnover. 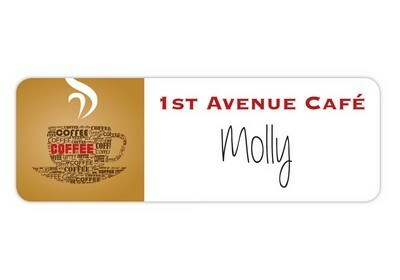 Product Size: 1-1/32" x 3-1/32"
The Budget Name Badge gives you the most bang for the buck with its innovative usage options. This sturdy white plastic badge is ideal at a workplace that sees frequent turnover. You get a full color imprint of your logo for a consistent and professional image of your company. 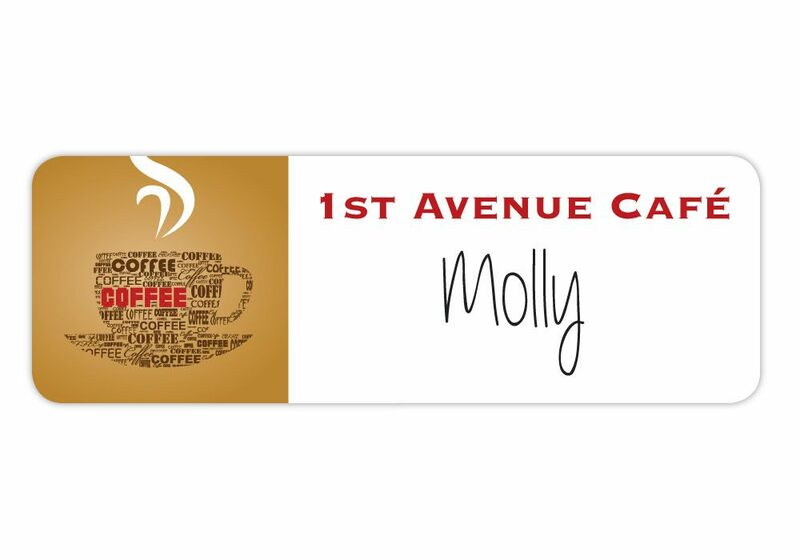 The budget name badge is laminated and easy to write your names using a damp wipe marker, dry erase marker or even adhesive labels – making removal of names simple and easy! The standard plastic pinback attachment is adequate for most workplace needs but additional options are also available. Imprint your company logo and make a mark for your brand permanently in the minds of people! Minimum number of items in each order: 25 items. Click on the location(s) where you want your four color process to appear.